In my opinion, security is the biggest problem on the Internet today. I’m not talking about identity theft, which is 100% real, I’m talking about hackers breaking into your private accounts and compromising your online services, including your website. I’m talking about someone breaking into your website and installing malware or some other type of malicious software that infects the computers of your website visitors (who do not have good PC security in place). Services like your domain registration information, website hosting account, your WordPress site, your bank account, or maybe your online account at Amazon. There are many ways to better manage security and minimize the opportunity for a hacker to break into any of your accounts. 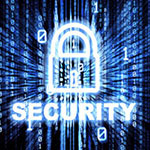 One of the most effective ways to tighten up security is by using STRONG PASSWORDS. Strong passwords are passwords that are at least six characters long and use a combination of upper and lowercase letters, numbers, and special characters like ! ” ? $ % ^ &.